Tonight we have a freshly edited version of retired Engine Driver John Anthony’s most popular piece on driving LNER A4 class pacific 4468 Mallard. Indeed it is so popular that John had a letter published in the Daily Mail (26/3/14) with his “mug shot” in it. It won letter of the week too! 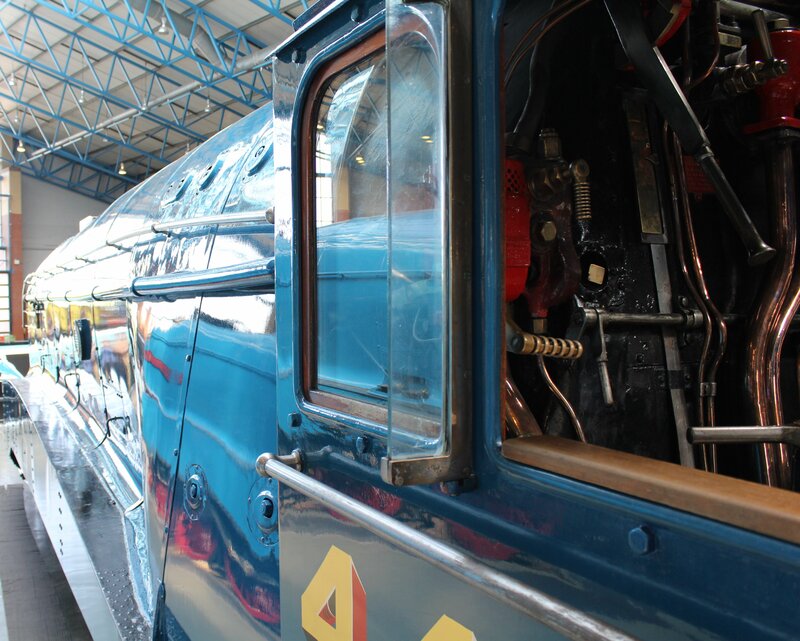 What’s it like to drive the mighty “MALLARD”? My answer is very difficult, for I am an LMS man! Sir Nigel, in his wisdom, put the controls in places that only LNER men could find them! 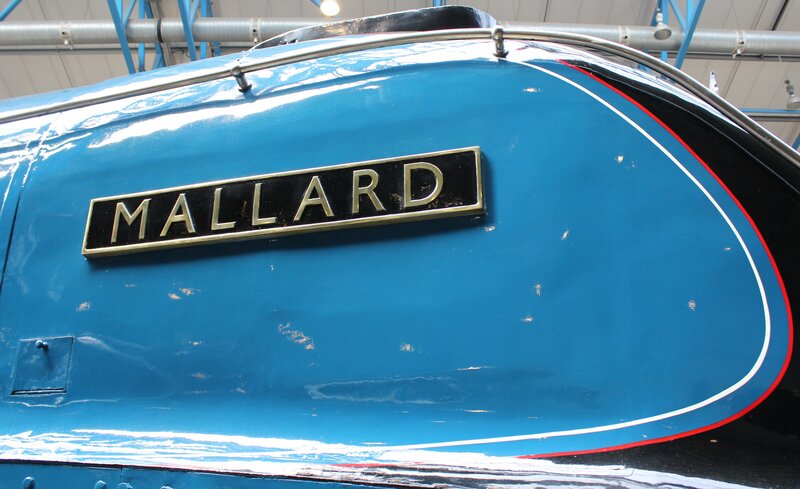 The “MALLARD” is the first steam engine I had driven for 25 years! You see, I am a new boy here in Skipton! From my bucket seat I give a nuclear heave-ho on this strange regulator… Nothing happens! With sinews twanging and flesh spazzing , I tug again… With a ballistic hiss, she moves! Half an inch, then another inch, then a foot, my god! We are at the end of the platform! I want to blow the whistle, but cannot find the handle! I want to close the taps, but they are hiding somewhere! PLEASE,PLEASE SOMEONE, GET ME OFF THIS STRANGE CREATURE! She’s a fiery old girl is Mallard. She really wants to go faster than the line speed. She raced round the curves, she dashed through the cuttings, she bolts over the points and when I held her back with the brake, she judders and squeals in protest! “Steady on me beauty”, I pleaded, as she sped down Mallerstang incline, her whistle screaming to go faster! People stare at her in her tomb, at the NRM, they think she’s dead, her soul somewhere “on the other side”, or maybe steaming away in heaven! But one fine day, she will be born again. Some hero will light a fire in her belly and WHOOSH! She will fly! WHALLOP, she will soar! And men, men of rock will crumble at her beauty, the unweepable will weep and so will I, as the mighty Mallard flies! 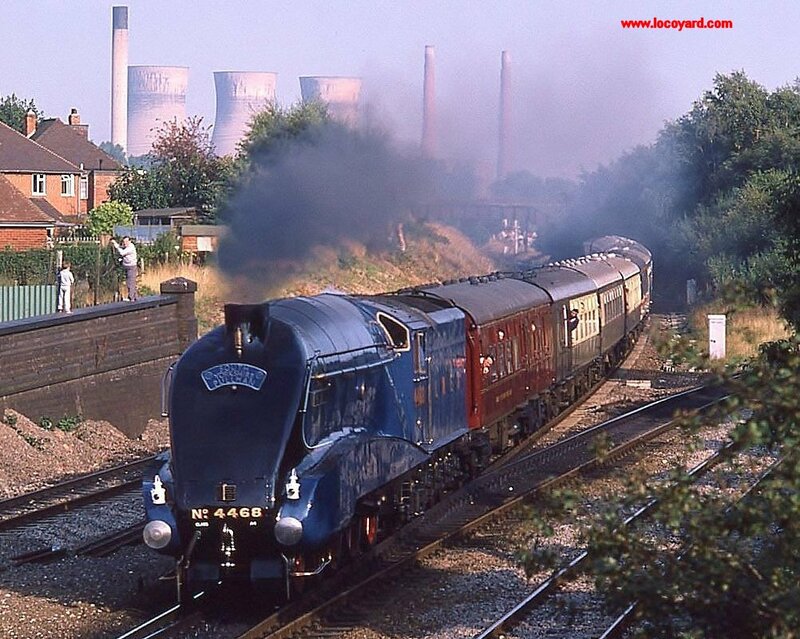 ← 70000 Britannia – almost an old friend! AND GREAT BRITAIN GOT TO TEST AS MANY OF THEM AS WERE STILL OPERATIONAL…THIS LAST YEAR!